Thank you to our TAP Sponsors! 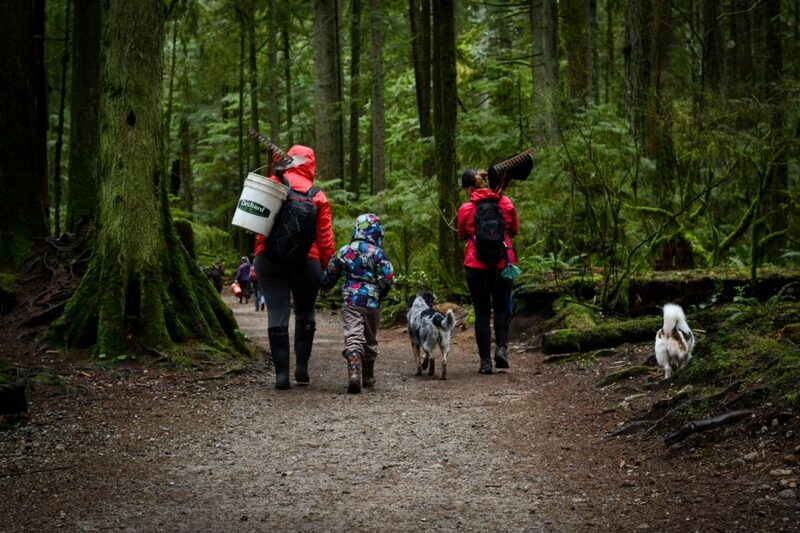 Check out how you can get involved and give back by signing up for a TAP or Community Trail Day from our calendar of Events – HERE! Become a trail adopter and tap into the North Shore trail user community. The TRAIL ADOPTION PLAN (TAP) is your chance to connect your company name to world renowned trails in the mountain biking world. With your support you back our efforts to protect and maintain the trails on the North Shore through education and action. 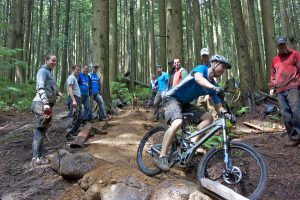 We develop trail networks that provide challenge and progression while fostering mountain bike culture and a community that embraces our sport as a positive force. 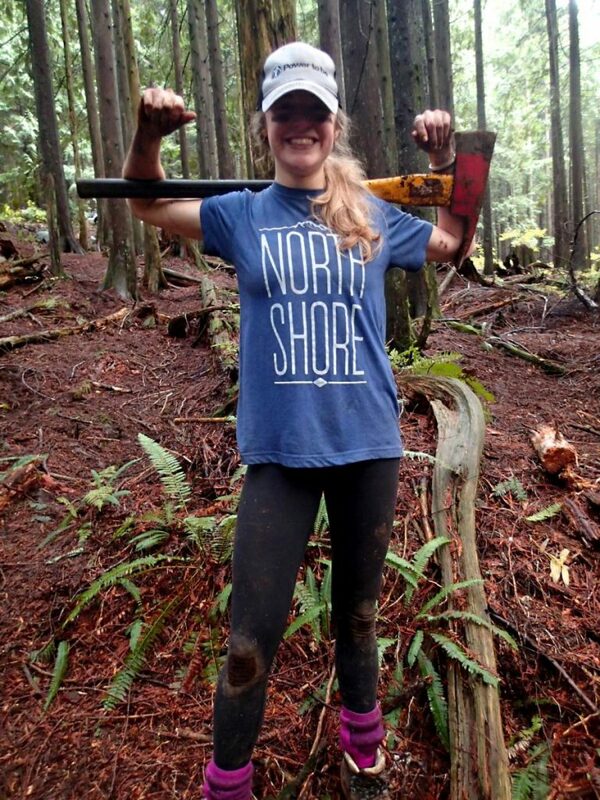 Join other companies making a positive impact and adopt a trail on the North Shore! 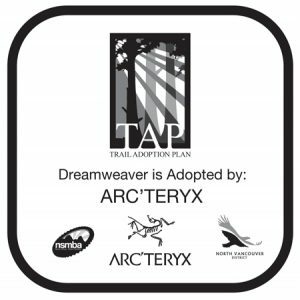 Thank you to those who have supported the Trail Adoption Plan over its past 6 years! With 33 adopters working on 32 trails in 2016, our efforts to restore the Shore continue in full force. We will collectively hold over 100 TAP trail days and approximately 5,000 hours of labor this year. Since its inception in 2011, the TRAIL ADOPTION PLAN has contributed over 15,000 hours of labor to the trails while remaining focused on sustainable solutions. Contact us today for more information about how to get involved and to sign up. Thank you to those who have supported the Trail Adoption Plan over its past 6 years! 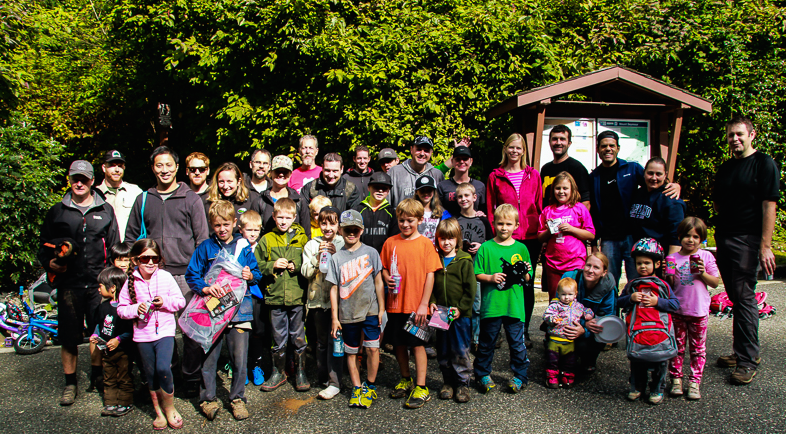 Join other companies who are making a positive impact and adopt a trail on the North Shore! $3000 We ask our adopters to organize and coordinate 6 trail days within the calendar year. 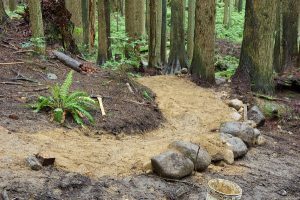 To these trail days bring people ready to get their hands dirty, we will plan and lay out the work needed, cover paperwork and insurances, provide training, tools, gloves and guidance through our experienced trail builders. $5000 gets you the same exposure without the work. We will organize the trail days for you. All you do is lean back and watch your Karma grow. Besides your TAP involvement you will get a GOLD sponsor status. 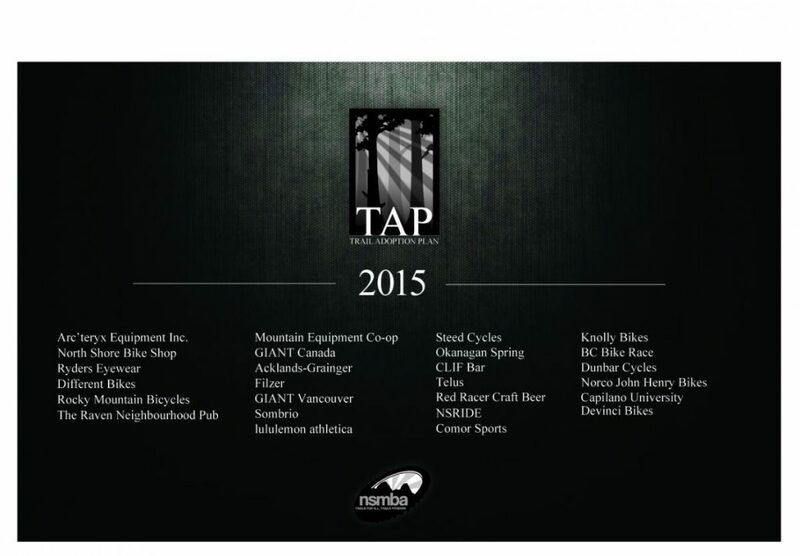 If you are looking to get involved even more we grant TAP trails to all our GOLD and PLATINUM sponsorship packages. 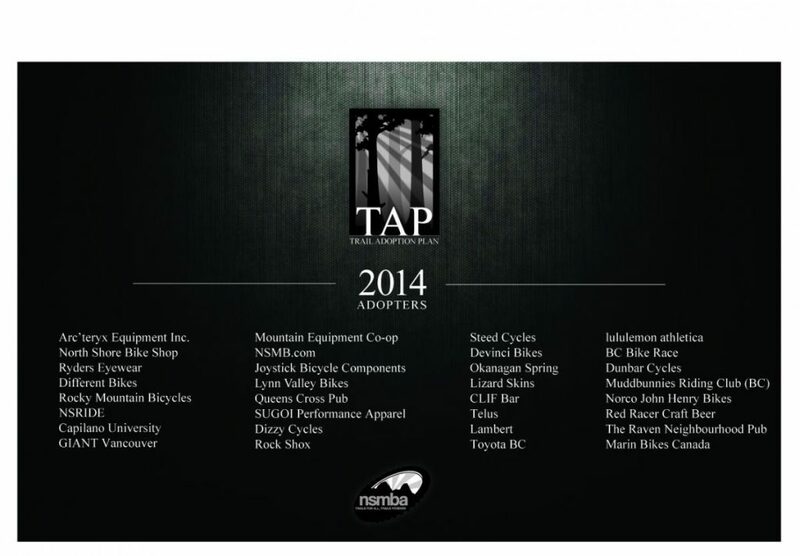 All TAP Sponsors will have their logo placed on the trail head for brand exposure and awareness. Here is an example of the work that your organization in relationship with us can complete together! What does a TAP Trail Day look like? You will be partnered with an experienced trail builder who you will work with to coordinate your six trail days for the year (typically 3 spring/3 fall). The trail builder will also determine the work plan for that day. We bring the tools, gloves and plan for the day. 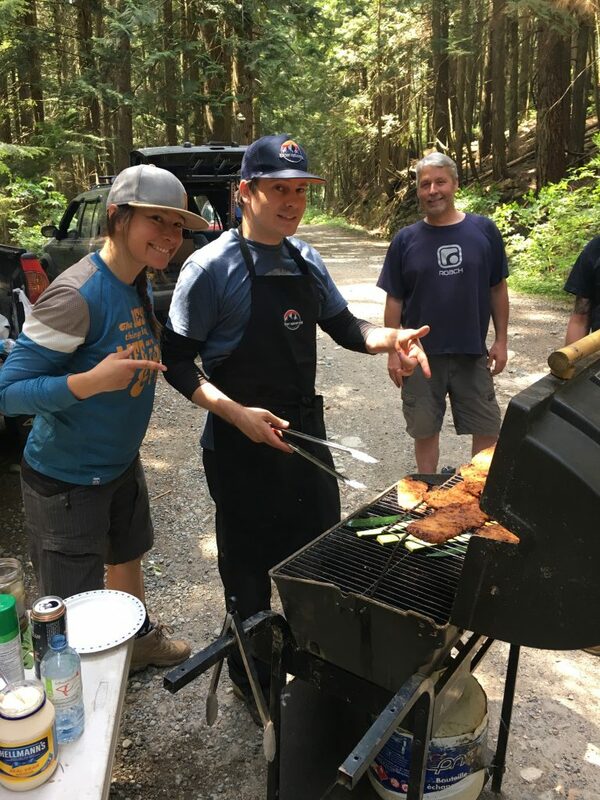 Your trail builder will also lead safety talks, sustainable education on the why’s behind the work and how your team will get the job done that day! All you have to do is get your crew together, bring lunch, have some fun on the trails and share it on social media! We will do the rest! How many people have to come out to each trail day? Trail Day labour can be anywhere from 2-20 individuals and doesn’t have to be the same each time. This can be discussed on a case by case basis. 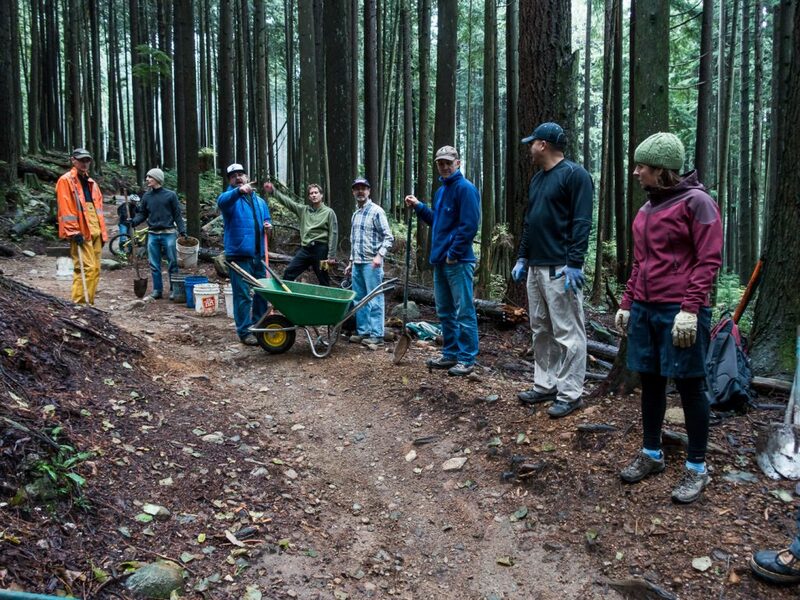 The NSMBA can also open up your trail day to the public to encourage a small group or a larger group to come out based on the amount of work and builders available for that day. This is something that can be discussed with the NSMBA TAP Manager, Builder and we can always support labour on trail days through social media call outs and newsletters. People love coming out to help! Some businesses like using their trail days as team building days and are not open to having them open to the public and we are happy to make this happen! Others need support and want the community to come out and help! We will work with you to find what suits your business best. As a TAP Sponsor what other privileges do I get? TAP Sponsorship is equivalent to Gold Sponsorship which includes 6 NSMBA Memberships for the year of Sponsorship, logo visible on our monthly newsletter out to 4000 subscribers, logo visible on the footer of our website. If you would like to learn more about TAP or read about our other levels of sponsorship please read our 2017 Sponsorship Package HERE! Download our 2017 Sponsorship Package and present it to your business or organization as a way to get involved. 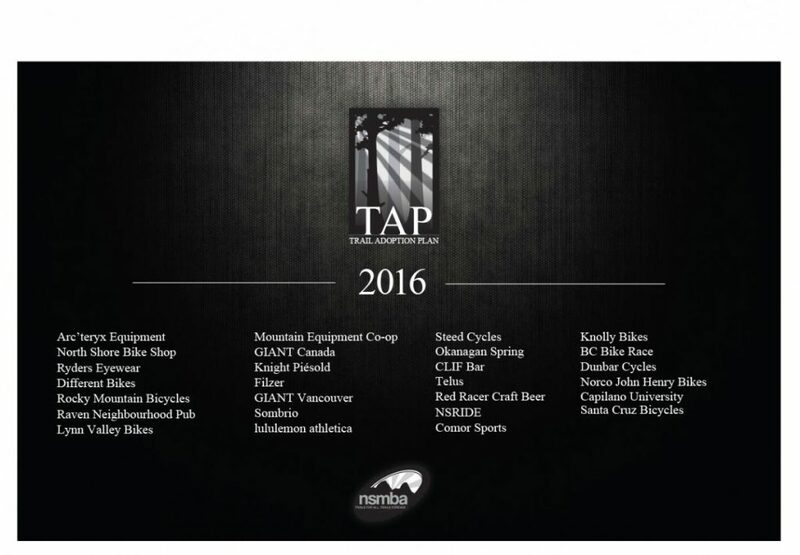 The NSMBA is pleased to announce our TAP adopters for 2016. The efforts of each adopter are led by a trained, professional NSMBA Lead Builder. Each adopter will hold up to 6 trail days this calendar year to implement improvements that have been approved by the appropriate Land Manager. The TAP Program contributes as much as 5000 hours in volunteer labour annually since inception in 2011. The goal is to improve the trails and seek sustainable solutions through preventative maintenance and other projects. Consideration for the environment and minimizing our impact are integral in our approach. For those who are about to dig, we salute you! Please support those who support the trails. 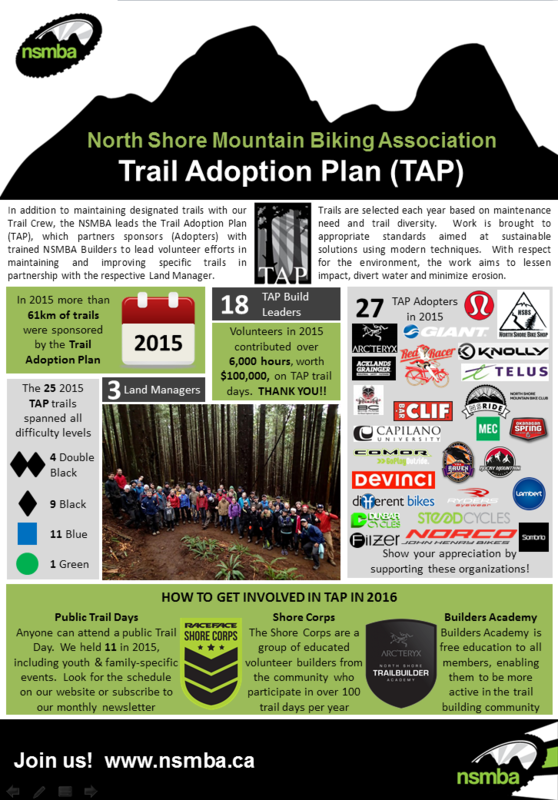 2011 was an incredible year with the inception of the Trail Adoption Plan. 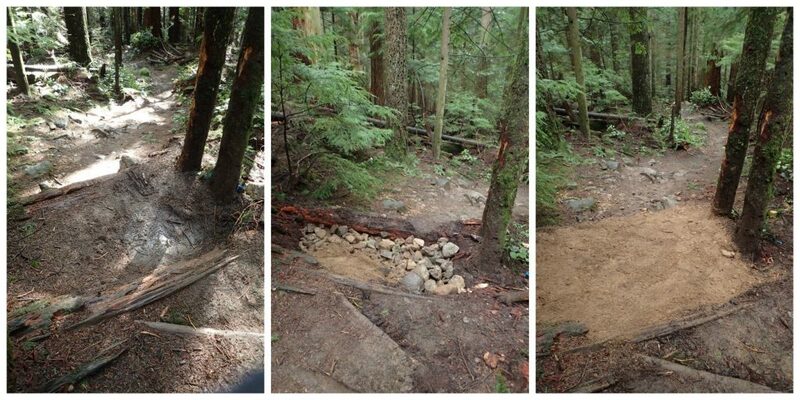 Over 40 trail days and 4400 hours were put into 9 trails on Seymour and in Lynn Valley by 11 Trail Adopters. 2012 promises to nearly twice the capacity as the revitalization of the Shore continues with 23 Adopters and 19 trails. Projections for the season: 96 trail days accounting for nearly 7000 hours of labour. 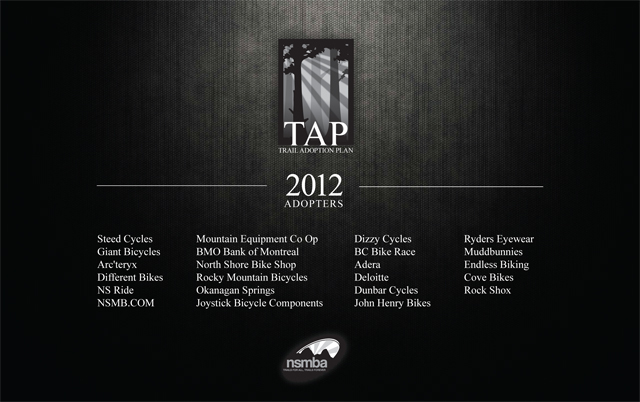 The NSMBA would like to thank the Trail Adopters for leading the charge including the full returning roster of 2011 Adopters. Stepping up, taking action and making a difference, one shovel full at a time. 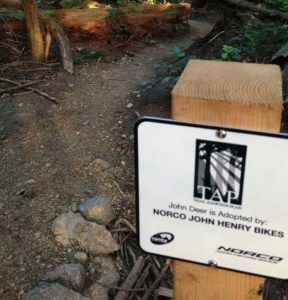 TAP wouldn’t be possible without the agreement and continued support of the following North Shore Land Managers: District of North Vancouver, Metro Vancouver and BC Parks. We’re working together towards shared solutions. The NSMBA would also like to thank the Builder’s who led the efforts last year and now welcome a near doubling of the numbers for this coming season to a total of 16 TAP Trail Builder’s. Knowledgeable, adaptable and uncompromising, the TAP Builder’s are ensuring a high standard of quality with every project. Last but not least, the NSMBA wishes to thank You. 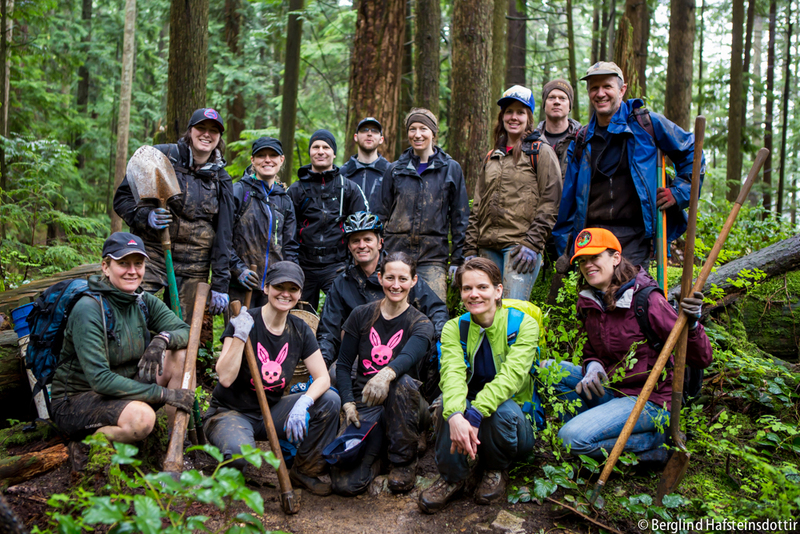 If you were a volunteer on a trail day past or if you plan on volunteering this year and making a difference, then in advance, we thank you. Many hands make light work.